Are you looking for the best moba mouse for Moba gaming? 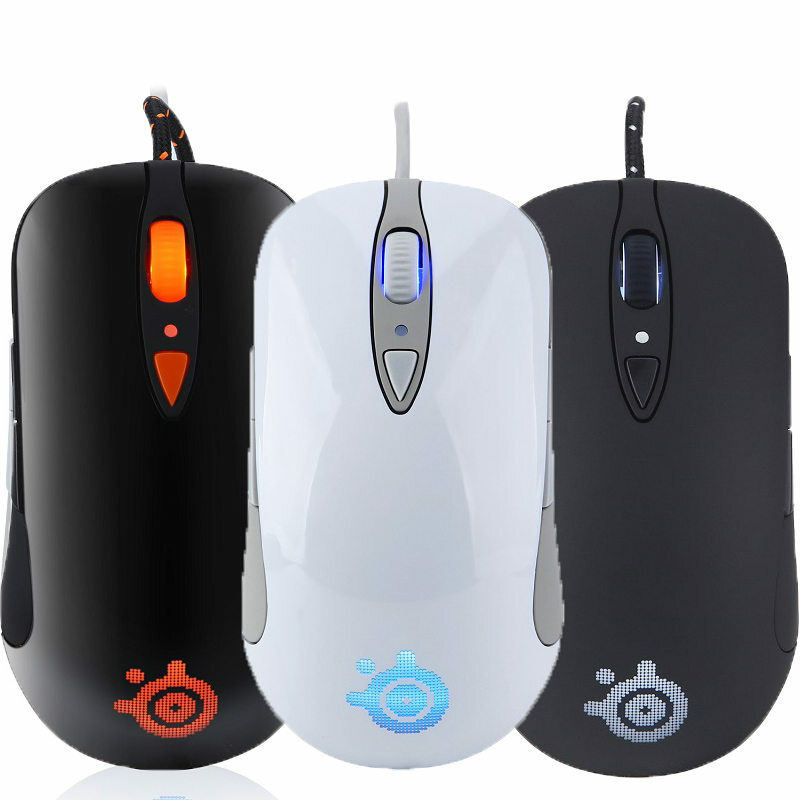 If yes, then our guide will help you choose your Moba mouse so that you can dominate Multiplayer online battle arenas. The best moba mice will help you improve your gaming performance in games such as League of Legends (LoL), Dota2, Smite, Heroes of the Storm, etc. If you are serious about Multiplayer online battler arenas then a moba mouse will make a lot of difference to your performance! While even the best moba mouse cannot make you a professional gamer, it will definitely give you some advantage and help you achieve your goals! In our best moba mouse guide 2019, we are examining mice that are being used by professional players and also the best sellers on online stores. Note: Professional League of Legends and DOTA 2 players are often switching setup so we cannot guarantee that these exact players are still using these mice. If you have any updates or corrections make sure to leave a comment! Also, if you would like a review for a specific product, make sure to let us know! Logitech G403 Prodigy is one of the best mouse for moba used by professional League Players. Logitech is one of the best and most trusted gaming mice companies in the world. The Logitech G403 is one of the best mice that they have manufactured! This moba mouse is very reliable and it can cover the needs of the most demanding MOBA gamers. The Logitech G403 Moba Gaming Mouse shares a lot of similarities with the Logitech G502. However, the G403 has a lot of advantages when compared to the G502. First of all, the prodigy design is nice and slick. Furthermore, G403 Prodigy is lightweight. Not all gamers are fans of lightweight mice, however, once you get used to the G403 prodigy, you will be amazed how responsive it is. The Logitech G403 Prodigy runs on Logitech Gaming Software (as any modern Logitech gaming accessory). Logitech gaming software is great for beginners but also for advanced users. It offers great control to your gaming experience. The DPI of the mouse can be adjusted through the software and you can also map out the buttons in your own unique way so that you can fully customize and upgrade your gaming experience. The RGB colors can be adjusted. The G403 can even by synced up with your other Logitech products so that you can create a coherent color pattern. These G403 best moba mouses also come with three onboard profiles which are great for beginner gamers that are starting in the competitive scene. 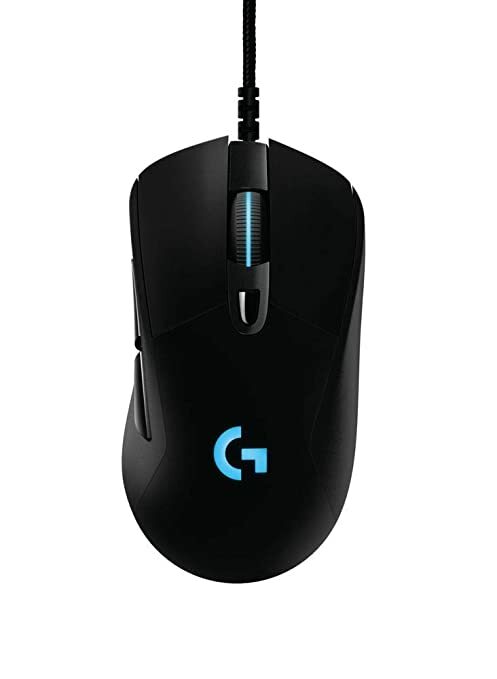 The G403 uses the MW3366 optical sensor which is a leading mouse sensor in the market. There are very few mice that do a better job in terms of sensors. This particular sensor that the Logitech G403 uses allows top-notch precision and responsiveness. That’s why a lot of gamers are switching to this product. The Logitech G403 is crafted with competitive play in mind and that’s why it is one of the best mice that money can get you. If you are a gamer that is looking to improve your performance then definitely this is the best moba mouse for you! The Razer DeathAdder Elite is truly one of the best mice in the world. This mouse is directed to gamers that want something that is simple yet powerful. The Razer DeathAdder Elite can be fully customized. It is one of the stunning mice that are considered to be ultra-sensitive. This mouse can beat all expectations when it comes to moba gaming. 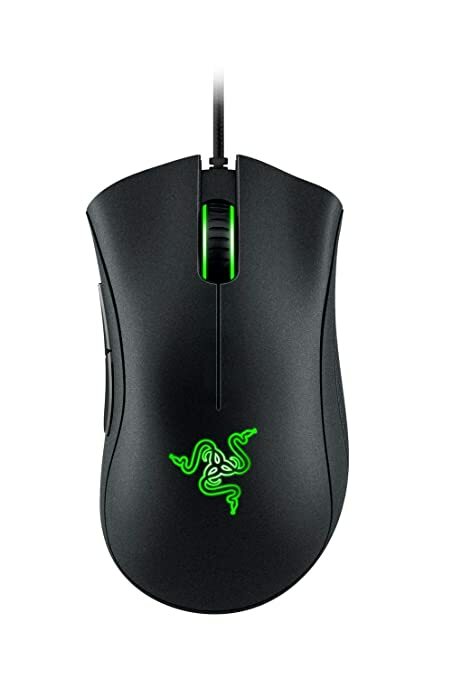 The Razer DeathAdder Elite is considered to be one of the best mice for MOBA gaming. However, this mouse can also be used for FPS and RPG players. It offers 5 programmable buttons that you can program in a way that is unique to your gaming style. The synapse software (Razer’s Software) can be utilized so that you can customize anything in no time. The DeathAdder Elite comes at 5.00 x 2.76 x 1.73 inches in size and ergonomically designed on both sides. Ergonomics are strong points for the DeathAdder. This best moba mouse is one of the best in the market when it comes to comfort. The only downside of this mouse is the build quality of the buttons. Scrolling performance seems to be declining after some time using the mouse (Approximately a year). This mouse is definitely value for money. There is nothing that you cannot do with it. You can even adjust it based on the surface that is used on. It’s not common for a moba mouse to work that good on glass tables. However, for better performance, we suggest that you get a proper mousepad. Some good examples are razer ones. The BenQ Zowie EC1-A mouse is one of the popular mice used by professional e-sports players. It comes with supplementary features which grab attention like LED display, software and many more. The BenQ EC1-A best moba mice come in an ergonomic design and this makes them perfect for right-handed players. It gives users a larger room to move their wrists. The right part of the mouse is properly rounded in shape. This feature makes it easy for the fingertips of users to grip/wrap around the mouse to provide smooth movement. The mouse is available in two sizes to meet varying needs. You could hardly speak about Moba gaming genre without making a mention of this great mouse from BenQ. Corsair Sabre Mouse is admired amongst League of Legends expert gamers. The Corsair Sabre mouse is a trendy mouse commonly used by professional League of Legends players and the reason for this is obvious! A refresh rate of 1000hz to offer precise and clear-cut tracking. Corsair shape can feel slightly short if you are accustomed to Logitech or Razer mouse models. It comes with eight programmable buttons which are completely customizable which makes it a handy and intuitive expansion for your hand. 1,000 Hz USB refresh rate to offer you high responsiveness that’s lag-free for the fastest possible play. A braided easy-flex USB cable to offer you 1.8m of roaming not overloaded. Dpi selector with multiple color indicator. You can configure your own dpi series and a color map with icue. Its ergonomic design offers support to numerous grips for added comfort. Corsair Gaming’s Sabre is an ultra-lightweight gaming mouse that weighs only 100g. It features an ultra light-weight chassis which makes it possible for gamers to lift their mouse during play or meet the needs of a player looking for a light mobile peripheral. The new chassis offers multiple grip styles which keeps you comfortable for a long time while playing the game. With the fly DPI adjustment feature, you can save five custom DPI levels with the use of our CUE software. This means you can easily switch between the DPI levels with just the click of a button. Besides, you can save the DPI settings straight on the mouse and eliminate the need for traveling with the software. This is a popular mouse mostly used by top professional MOBA game players. 1000Hz Polling Rate with an acceleration of 40G. Weight and LED lighting features. This is one of the best MOBA gaming mice in the market. It comes with incredible and unmatched precision. You can easily run out of superlatives during the process of the mouse review due to its superb quality. You can also get wireless moba mouse in the market. It is amazing the preferred choice of nearly every Bjergsen of Team SoloMid(LOL). G502 is highly praised among professionals and one of the most popular MOBA gaming mouse. The great performance, first-class build quality, highly developed gaming features, and amazing comfort make this mouse remarkable for providing users with an extremely flexible gaming experience. G502 features the PMW3366 optical sensor that comes with zero acceleration. It also does not allow smoothing or filtering crosswise the whole 200 to 12,000 DPI range. This helps you to obtain outstanding tracking precision and reliable sensitivity irrespective of the setting. This is one of the most widely used mouse among DOTA 2 gamers over the years. Offers outstanding tracking and speed. A little unexciting when placed side by side some mice on this list. The SteelSeries Sensei might not be the most flashy gaming mouse but it is a very reliable and well-performing mouse that has been a mainstay on the competitive MOBA scene for years. Works well for customizing Control CPI, programmable buttons, LED intensity, lighting modes in SteelSeries Engine 3. The SteelSeries Sensei RAW is a great performance mouse with an ambidextrous design, white lighting, and seven macro buttons which are programmable. The SteelSeries Engine allows players to customize the Sensei’s performance and reset the entire seven buttons. It also lets users fine-tune the CPI. The Sensei comes with a soft touch feature and sleek black covering. The shape of the mouse and the outline of the button come in a design that works well and is suited for all styles of grip. The Sensei Raw is structured to meet the needs of professional e-sports players. It is designed from the ground up to suit the needs of pro players. All Members of Fnatic rosters of every esports. Adaptable cpi/dpi to allow precise aiming irrespective of the players’ weapon or game type. Lift-off distance and color mixture that suits the needs of every level of gamer. Sturdy construction for more than standard wear-and-tear support. Flick 2 best moba gaming mouse is the result of work done by Fnatic in collaboration with professional gamers to arrive at a solution that‘s proven and well-tested. It is a light-weight pro-grade e-sports mouse that meets the needs of every style of gamer. The grip and shape of the mouse are more suited for gamers who prefer a more balanced feel. 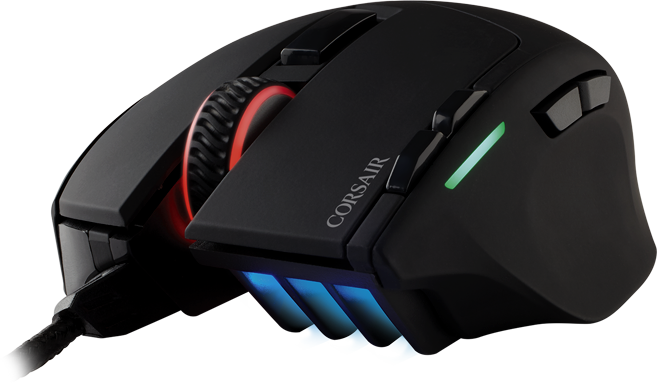 The mouse is a perfect combination of features with the best sensor capacity, premium build quality, excellent grip, and reliable software. It provides the required precision and giving users reliable control while gaming. Multiplayer Online Battle Arena(MOBA) game genre needs high speed and reaction time close to that of FPS gaming. A player with real skills and brainpower is more essential compared to the gaming tool the player use. This implies, irrespective of the nature and quality of gaming gear an amateur player uses, a good player is still in a better position of winning against him/her with his expert gaming skills. The difference comes when a good player ventures into the battle arena with all the proper tools he needs. In terms of specifications for MOBA gaming, a few features to cross-check include the DPI, the polling rate, and the resolution precision. The Dots per inch is the number of times your cursor moves for every inch of your mouse movement. More dpi isn’t always better. Some people entertain this erroneous belief, however, only some get better beyond 10k dpi. The key s to have the choice to switch from low-mid to high dpi and vice-versa. The polling rate determines the speed with which your mouse communicates to your PC of its present location. It also explains the ‘frames per second’ of the gaming mouse. If you intend competing in a high- speed e-sport, you are better off with a mouse with a good polling rate. Some gamers disregard this and go for a high polling rate and dpi. However, how efficient your mouse polling rate depends on the mouse accuracy or precision. Although you need your mouse to be able to communicate its location to the PC and unless that location is accurate, it is really of no use. Another factor to consider while choosing a gaming mouse is the ergonomics and design. In addition to providing you with the required gaming power, you need your mouse to also feel as comfortable as possible during play. It is thus essential for you to discover the type of grip that best suits your needs. To determine the right mice grip, you would commonly come across two types of designs and three different types of grips. The Claw grip is not the most popular but the majority of pro players who like ambidextrous mice frequently make use of the grip. This grip requires you to place your hand in a claw-shaped form while allowing a gap to exist between your fingertips and back-end of the hand. It helps gamers to maintain their stand and boost their reaction abilities. The palm grip is the most commonly utilized grip type. The reason is obvious-it feels more natural and comes with increased comfort. This grip allows the greater part of your hand to touch the surface of the mouse. The tip grip is the most uncommon type of grip. It allows only your fingertips to touch the mouse while the other parts of your hands rest above the mouse surface. It is good for games that require fast actions. These mice are pre-structured for palm’s use. It commonly features a surface that depresses inward for the thumb and the best part of the mouse is curved down to suit the other parts of the hand. The ambidextrous mouse design has no depression for the thumb. The two sides of the mouse are designed in a similar way to to make it suitable for tip and claw grips. The feature also makes it suitable for both left and right-handed gamers. What does moba stand for? Moba stands for a Multiplayer online battle arena. It is also referred to as action real-time strategy (ARTS). The Multiplayer Online Battle Arena (MOBA), is arguably the newest game genre of the century, thus far. MOBA game is any game that involves two teams of players with each battling to tear down the base of the opponent. To make this happen, each of these two warring bases generates small little creatures to fight the opponent base at the center of a map. The work of the players is to assist their team creatures to win the battle and occupy the base. There are usually a number of towers that’ll shoot your creatures as they advance or perhaps other additional fine distinctions. However, that is the general idea of how the game works. Each team works to kill the opponent.s base and win the game. In addition to the bases, each MOBA gamer chooses a specific hero to take to the sports ground. This Hero is stuffed with a special type of skill set to assist a team win the combat in one way or the other. The hero may be skilled at killing or healing wounded creatures. It could also be to possess the nimbleness to act fast. The skill a hero has is what defines its role among the team. A standard MOBA genre mapping involves yellow lines which represent the “lanes” for focusing the action. The blue and red dots serve defensive roles and stand for defensive towers/turrets. The light-colored quarter circles represent the bases of each team while the blue and red corners are the creatures who win the battle with their destruction. Another aim of MOBA games is to defeat all the players on the camp of your opponent. Player characters basically have the capacity to improve along the line to add to their team’s general winning strategy. MOBA games are a combination of action games, role-playing games, and real-time strategy games. However, MOBA players by standard don’t always build houses or units. Some MOBA games are also not RTS. MOBA game can be very intimidating to new players. To be able to start out well and enjoy the game, you require a little guidance. However, the popularity of this game also comes from the fact that there’s always a new thing to learn about the game. This guide will provide you with the basics of the game genre and help you choose the best moba mouse.